"This book is an ice-cold, important wake-up call"
"Based on interviews with hundreds of teens from 13 to 19, this exploration of the hypersexualized, social-media-ruled world girls grow up in today is eye-opening and sobering." "Sales painstakingly draws on scholarly research and numerous interviews with girls from New Jersey to California to offer a harrowing glimpse into a world where self-esteem, friendships and sexuality play out, and are defined by the parameters of social media." "American Girls is probably one of the most urgent conversation starters I’ve read in some time." 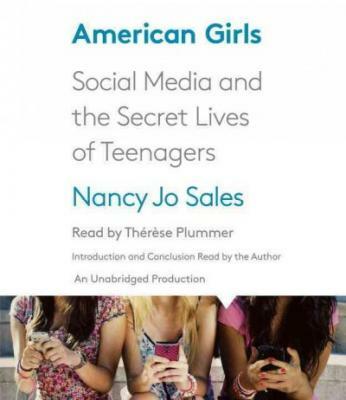 "This is an important book... It’s an essential read if you have teenagers or tweens in your life...I highly recommend American Girls for anyone who wants to understand how our ongoing revelation is playing out for teenagers." "I found this book to be one of the most essential for anyone who is working with teenagers or young adults. Well-written and logically organized, it provides exceptionally valuable insight into the mindset of this age group."